This is a 1.7.10 mod that aims to bring some new creatures and animals to the simple world of minecraft. Not only does this mod add wonderful models and coloration of creatures, but it also adds danger and wonder as some animals are aggressive while some are passive or defensive (only attack when they feel threatened). Each biome will expand with the animals that reside there and even two new biomes that are in the works as well along with the animals that live there! Once this mod is completed then we will likely make different versions but for now it will only be 1.7.10. This is different from other animal addition mods as we aim to add the animals where they would be in real life. You will not find one animal in two different biomes. Each place you go you will have new animals to find. 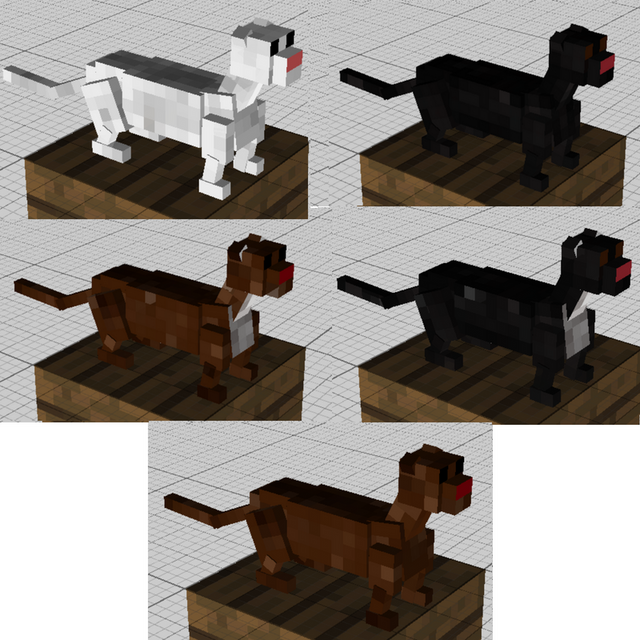 You can also find our official website at AnimalcraftMod.com for more information, forums, contact info and more! Below are the animals that we are finished with and are ready to be seen by the public. 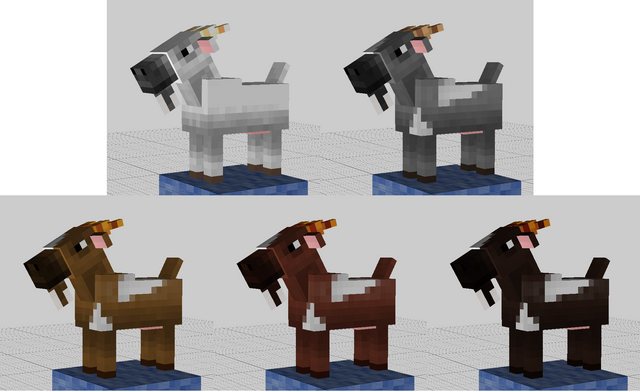 The work is slow and we will only be releasing two creatures to each biome with the first stage of the mod. But don't fret as we have about 66 more creatures planned to come out with future updates. Once we get further with the creatures, we will be able to come up with a release date but for now, here is what to expect from the original release of the mod that is soon to come. Many more animals will be added with each update as we have 90+ animals in the works. Goats are passive creatures that generally spawn in the extreme hills. They are breedable with wheat and follow the player holding that item. Otters are small passive creatures that tend to spawn and stay around rivers. They usually catch small fish and run away if they feel threatened. 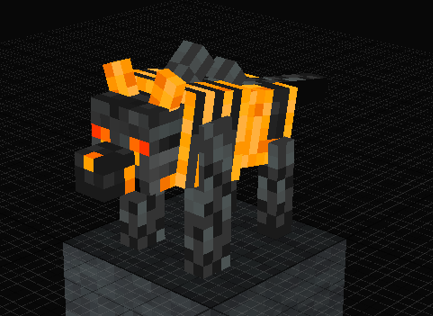 Hell Hounds are aggressive creatures that spawn in the Nether so be careful or they will come looking to eat you. Don't be taken aback by their small size as their bite is a lot worse then their bark. They drop nightmare meat and demon bones on death. Minks are passive creatures that spawn in the Taiga and love to chow down on mice and squirrels. 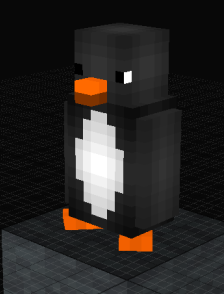 Penguins are passive creatures that love the cold areas of the Icy Plains. They enjoy eating fish and will run away when harmed. This is just a way that you guys can watch our progress along side us. We wanted you to know that we are working on the mod and get regular updates when we finish an item or a creature. Below are a list of animals that will be available with the first release of the mod. If you have any suggestions for animals please feel free to comment below to message me with your ideas. We would love to hear them! Just a small update that we will now be adding special items, weapons, food and item drops from several different animals from the mod. Each item dropped will be key to making the armors and weapons which will give you special abilities when the full set it worn. More info will be coming soon so stay tuned! 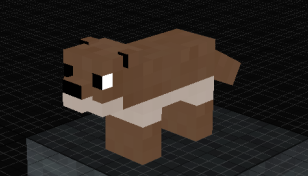 I have a background in using blender for high and low poly models, but not sure how to export models for use in Minecraft mods. If you can run me through that then I may be able to help. I personally haven't used blender but if it allows you to export as java, that would be what is needed for the mod. Do you have a discord by any chance? That way we could talk more about it. Does the mod development team have a discord? bad consistency, something like "terrapin" for the turtle or nile croc for the croc, etc would make it much more consistent lol. Terrapin is the name of the turtle in Viva Pinata. No; terrapins are turtles that live in swamps/marshes. We've decided to keep the reindeer and the okapi as the reindeer is a great creature to get items from in the snowy biomes and though it is specific we are keeping the okapi as a way to get striped leather from something other then a zebra. But we will look into other specific creatures like the nile croc and the terrapin turtle. uhm. so it's a plant? We are staying with the original 1.7.10 idea for this mod. Sorry for the back and forth with this mod. This is the last time we will be changing before the release of the mod. We now have an official Animalcraft website where you can find more information about the mod, contact info, forums and more! Come and support us and we will keep you guys updated on everything happening.